With so few billable hours, you need to ensure that you bill for all of your time and disbursements, and that nothing slips through the cracks. 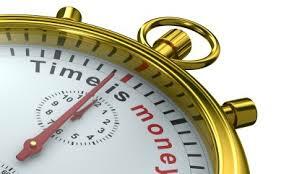 Any forgotten time is a direct hit on your profit. To survive on your own, you need to keep a real-time record of everything you do on a client’s matter. Phone calls. Emails drafted and sent. Photocopies made. All time spent on a matter. And if you leave your time- recording to the end of the month, you’re bound to forget some of the things you did. You can capture time in a billing system, or simply make notes on Excel, Word, or Notepad.